Just don’t do it. Please spend the extra cash and grab a decent brew. I saw this one while shopping for groceries the other day and thought I’d take one for the team and give it a try. Heck, for $2 it was worth a try. The flavors are off, it’s not well-balanced, and ultimately ended up as a drain pour. Too bad, so sad. Won’t be buying this one again. 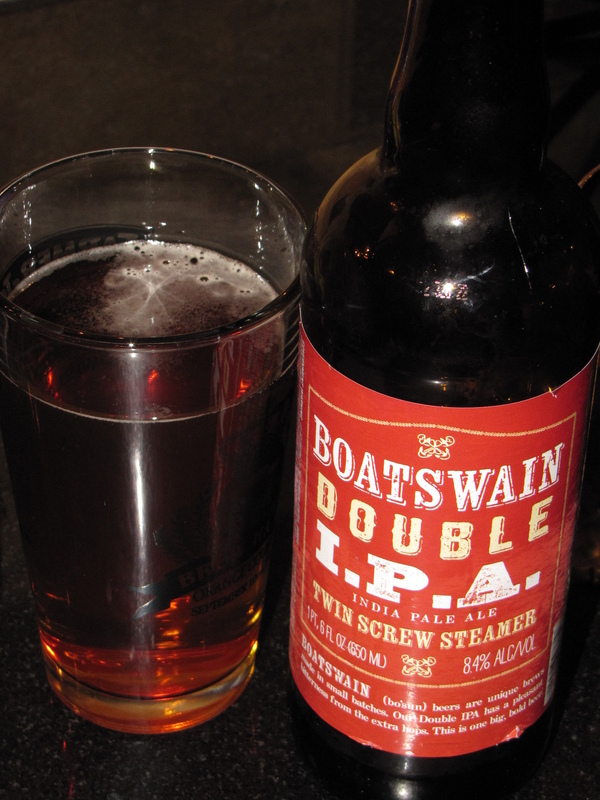 This entry was posted in Ale, Double, Imperial, IPA, Pale, Review and tagged Botswain, Double, IPA, Trader Joes, Twin Screw Steamer by Erik. Bookmark the permalink.